Garlic Scape Hummus – A delicious and healthy treat. If you planted garlic last fall, you may have discovered that you have some strange looking spiral shoots emerging from the center of your plants. Or maybe you are part of a CSA, and included with your last bunch of spring lettuces and sugar snap peas, you also received garlic scapes, and you have no idea how to use them. Don’t worry – you aren’t alone. Earlier this week as we strolled through the garden, we noticed that the garlic scapes were among us. Honestly, I think this happened overnight – caused by all the rain and humidity that we have had. On Friday our garlic looked normal, and the very next evening, we were cutting the brand new garlic scapes. What are garlic scapes? These are what most would consider to be the flower stalk of hardneck garlic plants. If left on, they eventually form small bulbs that can be planted to grow more garlic, but it takes several years for them to become large enough to use. When garlic scapes appear, in Ohio typically mid-June, most gardeners cut or snap them off at the base to allow the plant’s strength to focus on the actual garlic bulb rather than the scape. This in theory is to promote larger garlic during harvest time. You can pick the scapes when they first appear, and they will be tender and delicious. The longer that you wait, the more intense heat and flavor they produce. We usually pick ours when there is one loop on the scape. You can use the scapes in any recipe that you want to add that garlic flavor to. You can think of it more like a green onion, when compared to large bulb onions. Below are several recipe ideas and don’t forget – if you aren’t ready to use them right away, freeze them for later use – before the real garlic is ready to be picked! And of course, if you didn’t get your garlic planted this year, you can always find them at the local farmer’s market when they are in season. 1. Chop them to use in a salad as a topping, like you would a scallion. 2. Sautee them and use them in your stir-fry or pasta dishes. – We cut them in two inch increments. 3. Roast them with a little olive oil – the same way you do asparagus. Hint – you can even knot them together for easy turning. 4. Use them to make Garlic Pesto – Just add in 1/2 pound of scapes with your standard pesto recipe. 5. Make Garlic Butter – Soften 1/4 cup of butter and mix in chopped garlic scapes to your preferred taste. 6. Add them to soups and stews. 7. Use in your favorite dip/sauce – puree your scapes in your food processor for a smooth texture. 8. Add to your guacamole and salsas in place of garlic bulbs. 9. Top your pizza with finely chopped scapes and you will be amazed at the flavor it provides. Place all ingredients into a food processor and blend until you reach the desired thickness. **You can cut this recipe in half for a perfect portion size for 2 people to share. 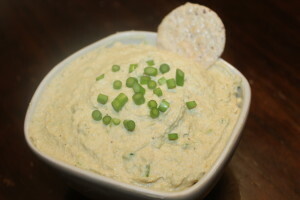 Garlic Scape Hummus served with crackers for a delicious and healthy snack! 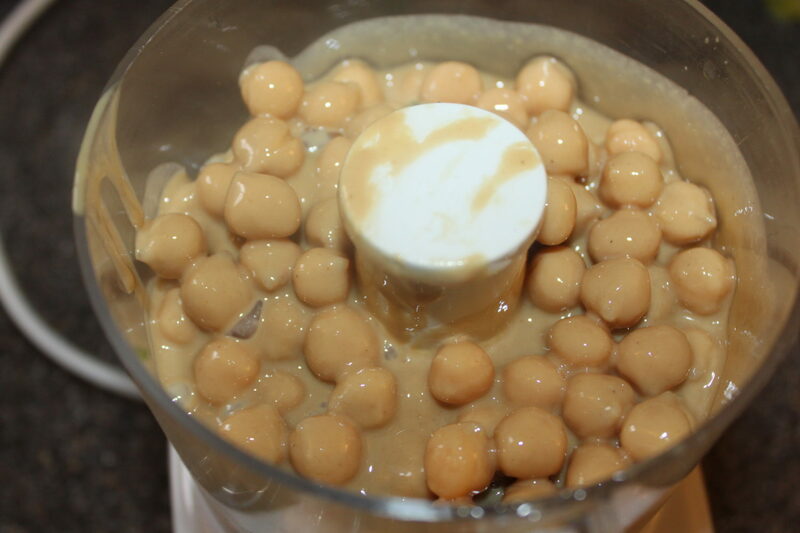 Place the ingredients in a food processor and pulse until a thick paste forms. If it is too thick you can slowly add water to thin it out. Salt and add curry (optional) to taste. You can serve and eat immediately, however, if you let it sit overnight, the flavors meld and it tastes even better. 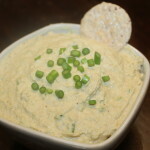 Serve with your favorite pita chips, crackers or as a dip with veggies. Place the ingredients in a food processor and pulse until a thick paste forms. If it is too thick you can slowly add water to thin it out. Add salt and curry (optional) to taste. You can serve and eat immediately, however, if you let it sit overnight, the flavors meld and it tastes even better. 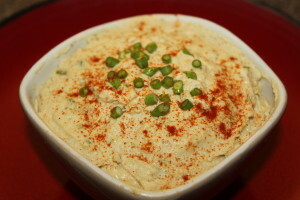 Serve with your favorite pita chips, crackers or as a dip with veggies.